Who needs a space elevator when we can reach orbital altitude just by stacking up all those space books written in the past 50 years. Yet, somehow there are still plenty of new good ones going on the stack every day. Here we present some space magzines, book stores, space book lists, and sites dedicated to special topics such as space collectibles and space history. I also include some miscellaneous titles that I find of particular interest. Nevertheless, the magazines listed below provide lots of great articles, news updates, historical data, and more on government and commercial space projects. The activist affiliated magazines also give updates on what's happening with the organizations. Great magazine for the space buff. Includes news updates, detailed day-by-day descriptions of recent shuttle flights and ISS logs, lots of space history, and more. Level ranges from general to semi-technical. Occasionally found at the larger newsstands in Europe but seldom in the US. Some university aerospace libraries carry it. Subscription comes with BIS membership. The site now allows you to Join the BIS online. The NSS is dedicated to creating a "space faring society", so the magazine empahsizes topics related to human spaceflight. Each issue typically follows a given theme, e.g. space tourism, with several articles by different authors. The level is non-technical. "All About Space delves into the wonders of space exploration, astronomy and space science every month, providing in-depth knowledge from a team of experts on an amazing array of topics. 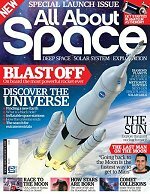 The magazine is unlike any other, and will appeal to seasoned space fans and new explorers alike, with a regular dose of amazing articles, exclusive interviews and jaw-dropping images that will make each issue simply unmissable. The magazine also features a regular stargazing section that aims to make astronomy accessible to everyone, with a host of instruction articles from how to buy a telescope to finding objects in the night sky." "a free quarterly online magazine for space-interested and space-enthused people around the globe. This free publication is especially dedicated to students and teachers interested in space." Space oriented magazine aiming to inspire young people to pursue studies in Science, Technology, Engineering and Math (STEM). Crosslink - published semiannually by Aerospace Corporation and is free of charge to subscribers. Nasa Tech Briefs - Technology developed at NASA. "ROOM is a space magazine for an international, modern, forward-thinking audience. Our authors report directly from the heart of the matter - they are experts, aerospace industry leaders and scientists from all over the world. At ROOM, we share a common dream - promotion of peaceful exploration of space for the benefit of humankind, all while bringing you incisive articles on a variety of trending topics, from the latest breakthroughs in astronautics to the environmental challenges of exploring space, from security threats originating in space to the untold history behind famous space missions"
published by the British National Space Center. Astropolitics: The International Journal of Space Politics & Policy - an academic journal dealing with various aspects of space policy. A newsletter that deals with "the opening of the Lunar frontier, suggesting how pioneers can make best use of local resources. Some of the points made will relate specifically to pioneer life in the lunar environment." Peter Koch has edited MMM since it started in 1986. Available by direct subscripton or by membership in the Moon Society. The Planetary Society emphasizes space science but is friendly to human spaceflight. Most articles are science related but presented in a very readable fashion for the layperson. This bi-monthly covers both aviation and space topics. The space articles often are historical in nature but many cover current developments. A quarterly journal published since 1992 and edited by Dr. David Christopher Arnold. Dedicated history journal, with articles written by both professional and amateur historians. Issues also include interviews with "key figures and visionaries". These store sites provide books related to a wide range of space topics. Some sites sell books directly while others just describe the books and refer to another online book stores for purchases. "..Mars Exploration, Space Travel, Planetary Missions, JPL, Mission Control, NASA, Astronomy, Astronautics, Science, Astrophysics, Spaceflight dynamics, the History of space research, manned missions, planetary studies, satellite technologies, man-machine interaction, effects of cosmic radiation, colonization, rocketry & rockets, shuttles and space stations, interstellar probes, and much more." They also publish the proceedings of the Mars society. This Canadian press publishes a wide range of space books including a large range of space history books. Recently, it also released the collectors book Space Toys of The 60's. Microcosm is a rocket company that has a bookstore on the side (or a bookstore that builds rockets on the side!) The bookstore provides a wide range of space related books and offer several ways to search for the book, author or subject of interest. Many of the general space stores listed in the Shopping section also sell space books. Provides book and video list of aviation and space related topics. The American Institute for Aeronautics and Astronautics has this store for its books and reports. Generates copies of out of print books. Not many space related available currently. Publishes reprints of classic books including those in technical areas. Autographed space related books and first editions. Space reference books, textbooks, history, etc. Offers books and reports generated by this famous research institution. Saturn Press specializes "in rocketry publications, offering books, posters, and booklets for modelers and space enthusiasts." Most of these are by Peter Alway. These sites provide lists of space books in various categories. Some of these sites also provide links to the major book stores where they can be purchased online. ApolloSpace - Space history and biographies. Boggs Spacebooks - Donald Boggs has collected long lists of space related books. For example, he provides a nice listing of astronaut biographies. collectSPACE - books - Robert Pearlman's site is dedicated to space collecting of all sorts. Dreams of Space - Books and Ephemera - John Sisson blogs about space books of the 1940s-1970s, especially the illustrations. AstronauticsNow.com - Mike Gruntman provides several lists of books of particular interest for both space professionals and amateurs. Project Apollo - Apollo Book list - Book list at Kipp Teague's "Contact Light" web page on Project Apollo. WSN Special Report Catalog - Amazon - World Spaceflight News provides this list of government space publications not usually available at bookstores. These include NASA and Russian training manuals, shuttle procedure handbooks, shuttle mission reports, history papers, and more. Here is a list of book reviews by the HobbySpace editor. Collect classic space books such as the famous1950's introductory books about spaceflight from Wernher von Braun, Arthur C. Clarke, Willy Ley and others. There are also many technical books of historical interest. "Used and out-of-print books on spaceflight, aviation, science and technology. We also offer selected historical reprints, as well as biographies on related topics "
Boggs Spacebooks also maintains this page at eBay auction for space book sales. Sharp's Book Co [UK] - used books including space and science related ones. www.usedbooksearch.co.uk - "over 35 million secondhand books to search"
Books On Demand Online - generates copies of out of print books. Not many space related available currently. NASA Releases First Free E-Book, on History of X-15 Rocket Plane - Wired.com - Jan.20.10. "Turning Point breaks down how space exploration and development can solve many of the key issues we face today in America, such as employment, education, the environment, energy, and international relations. The future of humanity is its exploration of the stars." William K. Hartmann et.al. - 1991 - present a broad sampling of both American and Soviet/Russian space art. By David A. Hardy with a forword by Arthur C. Clarke this book traces the history of space art and displays the work of 75 artists. Published by Paper Tiger/Dragon's World. Alan Bean with Andrew Chaikin. See also the Space Art section. Summer Space Reading Camp Pt. II: The Old Moon - Out of the Cradle - July.21.08 - Lunar sci-fi books from the 1950s and 1960s. Summer Space Reading Camp Pt. III: The New High Frontier - Out of the Cradle - July.30.08 - Books about the "high frontier in general - asteroids, space stations, rocket flights and more". Space Oddity - David Bowie Children's Book by David Bowie, illustrated by Andrew Kolb. The artist Andrew Kolb has created a children's book from the song Space Oddity by David Bowie. You can view the book on line and even download it in pdf format for free. Reprint of a book from the Sputnik era that re-phrases childrens tales from a space age point of view. About life on a space station. Foreward by Buzz Aldrin. PUPNIKS: The Story of Two Space Dogs by Ruth Lubka - (Marshall Cavendish, 2003) ISBN 0761451374 - "[Pupniks] tells the story of Belka and Strelka, whose flight and earth orbit in 1960 paved the way for Gagarin's flight one year later. For very young children (4-7), PUPNIKS includes photos of the dogs and facts about other animal astronauts, as well as info about Krushchev's gift of Strelka's pup Pushinka to JFK in 1961. For more info, see www.marshallcavendish.com. " Life on Mars? Mars and the Search for Life by Elaine Scott - Books For Kids Blog - July.8.09 - a review of the book for young people (grades 5-9) Mars and the Search for Life by Elaine Scott. This is Cape Canaveral - The Ward-O-Matic - Nov.11.05 - tribute to a 1963 book by Miroslav Sasek in his This is ... series for kids. Now in its 2nd ed., this book gives a history of the space program in the first half of the book and then the second half provides a guide to space collectibles. 251 pages, softcover, PR Products, Roswell, Ga. Review at Science Book Board. History of the gold and silver commemorative mediallions produced by the Robbins Company for all astronauts from Apollo 7 to the shuttle flights. The medallions were flown as mementos by the astronauts and then kept as souveniers for family and friends. The existence of the medallions was not publicized by NASA. Howard Weinberge offers the first complete history of the medallions and corrects various myths about them. Complete list of all the NASA publications related to space history. Out of this World: New Mexico's Contributions to Space Travel - by Loretta Hall. This book "tells the human (and animal) stories of eighty years of experiments that helped make space travel possible". The chapters cover topics ranging from Goddard's experiments in Roswell to the White Sands Missile Range to the building of Spaceport America. The Unbroken Chain - by Gunter Wendt & Russell Still. Biography of Wendt, "known during the Mercury, Gemini, and Apollo years as 'the Fuehrer of the launch pad'"
Peter Alway's book with lots of data on over 200 rockets with design and scale information. Other Alway books at Saturn Press. This book is devoted primarily to sci-fi spaceshop modelling. Matt Irvine's encyclopedia on Space Models is described here on his SmallSpace website. Then AMSAT_NA offers items books to amateur satellites and space radio. Check the Bookstore at SpaceBusiness.com, sponsored by the International Space Business Council, for books related to space commerce, industry studies, etc. Advanced rocketry by John Wickman, a NASA contractor and long time rocket designer. The privately published work comes with a video as well and can be bought at his Amazon zshop. Rocketry Online, one of the largest rocketry sites, provides this long list of books of interest to amateur rocketeers. Smithsonian's Air and Space Magazine offers fascinating articles about aviation history, events and personalities. Analog Science Fiction and Fact contains compelling, hard-to-put-down futuristic sci-fi stories and scientific features.